Tara is a mother of 2 beautiful parrots and a dog. 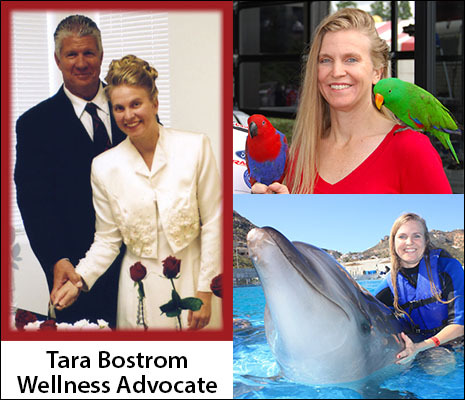 She is a Wellness Advocate and offers free wellness consultations. She educates individuals on the daily use and power of Therapeutic Grade Essential Oils. What are your Health Goals or Concerns? Wellness takes many forms: Physical, Mental, Emotional, Spiritual and Financial. With a Wellness Consult you can determine what area of your life is needing more vitality and a path designed for you to get you moving towards your health and well being. Set up your free consultation via phone, email, or skype TODAY! I grew up in Southern CA and now reside in Phoenix, AZ. I have led an unusual life. I was an only child, but not a spoiled one. I met my best friend Mike at age 13 and we went everywhere together. I pursued a few celebrities in my younger years and also dated one. I have since put childish ways behind me and have been very active in my church. I took on a few minimum wage jobs during high school. After I graduated, I went to Junior College and received an AA degree in Theater since I wanted to become an actress. I didn't really pursue it like I should have and I never went to an audition. I decided to get realistic and went to a graphic/web design school since I always enjoyed art. After my 16th interview (it's a very competitive field) I finally landed my first design job for a whopping $10 an hour. A year later I landed a better paying position that lasted for 7 years, but I was eventually laid off after 911. During my time in Southern CA, I met my husband at a tanning salon in 2001 and we married in September 2005. My husband is 21 years my senior (I like em old LOL!). We later decided to move to Arizona to be closer to his children and I also had family there as well. I never got back into web/graphic design as the pay is very low in AZ. I have been involved in a few MLM's (Mulit-Level Marketing) over the years, but never had any luck since the products didn't have any real results. I stumbled upon this MLM company when having some health issues and I am so thankful I did. I really love this company because the products are natural, produced without preservatives and chemicals and they produce real results! Our friends and family have also used the products for their individual health needs with much success. They're truly a Gift of the Earth!